Maplewood will be performing at The Pines on March 9, 2019. After writing a batch of songs around a bonfire of cannabis in Joshua Tree* and recording them in a shack overlooking the Pacific Ocean*, Maplewood’s self-titled 2004 debut featured members of Nada Surf, Sparklehorse, and The Hold Steady and included the moderate hit “Indian Summer,” covered by 70s heroes America. Spin declared Maplewood pioneers of a 21st-century Laurel Canyon resurgence and Magnet ranked their followup, Yeti Boombox, the #2 Americana album of 2009. Led by Steve Koester (Two Dark Birds) and Mark Rozzo (Champale, Bambi Kino), Maplewood will be joined by friends from upstate and down for a Rolling Thunder-esque night of jasmine jams and gemini dreams. On January 27, Two Dark Birds will be playing a brief set as part of the benefit for Samadhi, a mindfulness-based Recovery Outreach Center offering those impacted by addiction a multitude of free holistic services. We'll be joined by Simi Stone and host of other talented folks focused on bringing this to fruition. For more info, visit samadhiny.org. Our debut came out ten years ago (seriously) and is finally available on all digi platforms. “Strange and beautiful... it’s a record best heard with a beer in hand beneath a star-punched sky” said Nylon Magazine and, judging by the below vid, I spent a lot of time under star-punched skies at the time. Many thanks to the fantastic freaks who created & performed the album with me: Don Piper, Craig Schoen, Jason Mills, Matt Trowbridge, Joe Bennett, Dave Baine, Joe Pisapia, Charles Bissel, Len Small, Jude Webre, Ben Wildenhaus and Joel Hamilton. 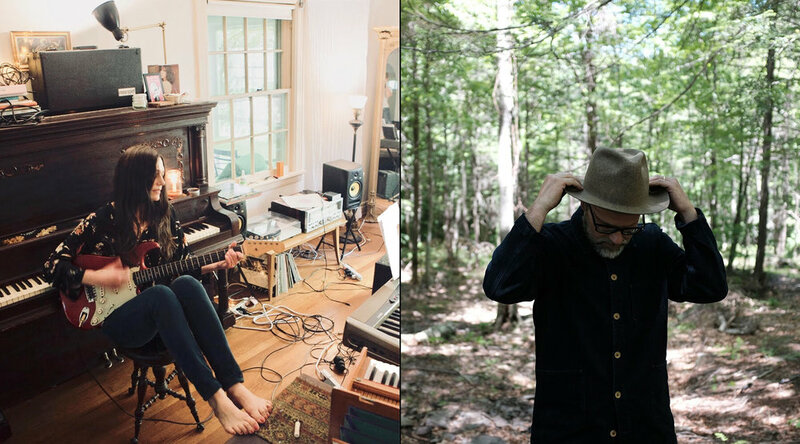 Two Dark Birds will be playing with Jesse Marchant and Sandy Bell in Kingston NY on Friday June 22. Two Dark Birds returns to one of our favorite spots for a night of music. Music Vid Premiere: "Who Will Call You Home for the Night?" Culture Collide premiered our new music video for "Who Will Call You Home for the Night?" directed by James Felix McKenney. Two Dark Birds and Mimi Goese & Ben Neil perform at HVSS Music Night in Glenford, NY. Two Dark Birds open for Anders Parker at BSP Lounge in Kingston on Jan 6. We’ll be playing at the end of the month at Rockwood Music Hall with dear friend / incredible singer-songwriter / bandmate Sandy Bell. **This room is small and is likely to sell out soon so get your tickets now! John Burdick over at HV1 has gets to the core of the new album with his fantastic review. Bow is now available for your listening pleasure on Spotify. 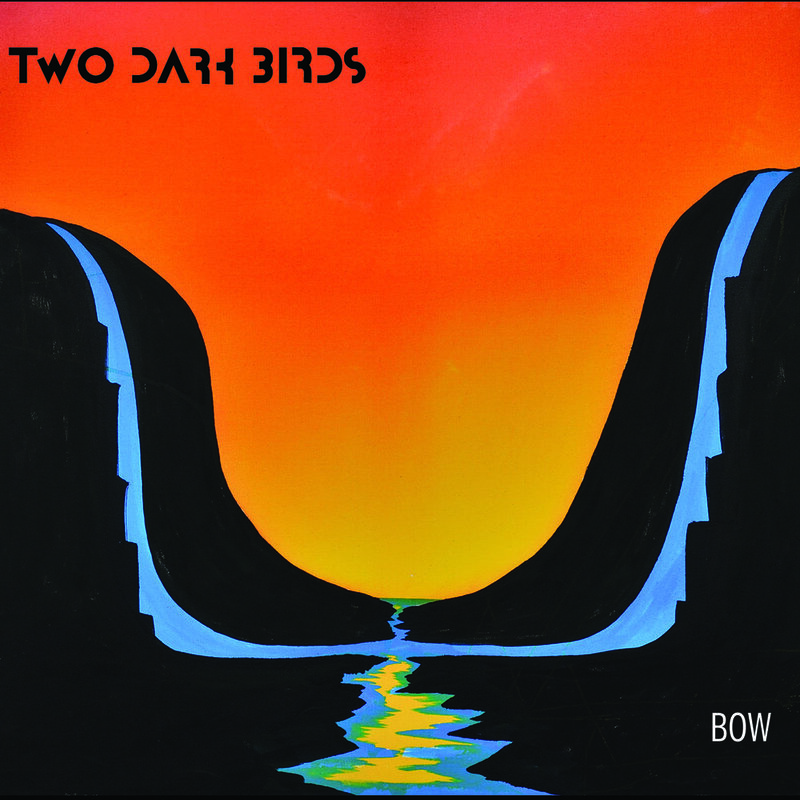 Our new album BOW is out today! A “luminous and ambitious collection of poet-grade and quietly experimental folk music” per the critics. Listen and purchase digi & cd today: here! But how does one procure one of these brand new Two Dark Birds ¾ sleeve baseball tees? Come see us perform Friday night 9 pm at The Pines. Video Shoot for "Who Will Call You Home for the Night?" Shooting a vid for new #twodarkbirds w Director/Captain @monsterpantz and Wilder Man @bccwp. Two Dark Birds perform this Thurs Eve at the Colony in #Woodstock. Tickets & Details. Our first show in a long while. New songs, new album, new lineup. The beautiful Sandy Bell. opens.